The writing of the history of the Liberation Struggle only began in earnest after 1994 with the establishment of the new democratic government and the opening of the certain liberation movements’ archives. While a number of major initiatives have been undertaken to write this history, we have yet to sufficiently acknowledge the role played by ordinary South Africans in the Liberation Struggle. Additionly, in order to compile a comprehensive history of the Liberation Struggle, we rely on public engagement - especially in the form of contributions from ordinary citizens who were personally involved in the struggle, or who can relate the roles that their friends and relatives played in helping to bring about South African democracy. In 2000 South African History Online (SAHO) launched the 'Lives of Courage Project' with a virtual 'Wall of Remembrance'. This is an online monument that acknowledges the role that thousands of ordinary South Africans and members of the international anti-Apartheid movements played in South Africa’s struggle for freedom against segregation and Apartheid from 1900-1994. - The development of a national schools oral history competition. - Meetings and workshops with freedom struggle veterans to involve them in the compilation of their own life stories and stories about others on SAHO's website. - Building a network of institutions, academics and students to help with researching and compiling the information. When this project was launched online it housed a significantly shorter list of activists on a 'Wall of Honour'. Since 2000, specialised lists and many more names have been added. Therefore, this is an ongoing project that is constantly being expanded and updated. 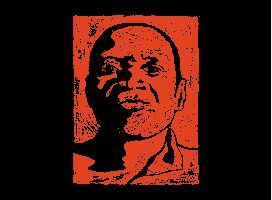 We invite members of the public to assist SAHO in contributing to this online monument; lists of names, biographical details, copies of letters, diaries, articles and photographs of activists are all welcome forms of documentation. Please click on the ‘contribute’ link on this page to send us information. This is an annual national oral history project open to learners and teachers. The first competition took place in 2005. The aim of the competition is to increase an interest in history and to encourage scholars throughout South Africa to engage with their shared history in addition to exploring their personal and community histories. Competition winners receive cash and book prizes, and their research is published on the SAHO website. As part of this project a publication program has been launched, titled the ‘The Lives of Courage Series’. Each edition in the series will showcase the biography of a different activist. The biography selections for the publications will be drawn from our community, veteran and institutional history groups.